Item # 315156 Stash Points: 1,395 (?) This is the number of points you get in The Zumiez Stash for purchasing this item. Stash points are redeemable for exclusive rewards only available to Zumiez Stash members. To redeem your points check out the rewards catalog on thestash.zumiez.com. 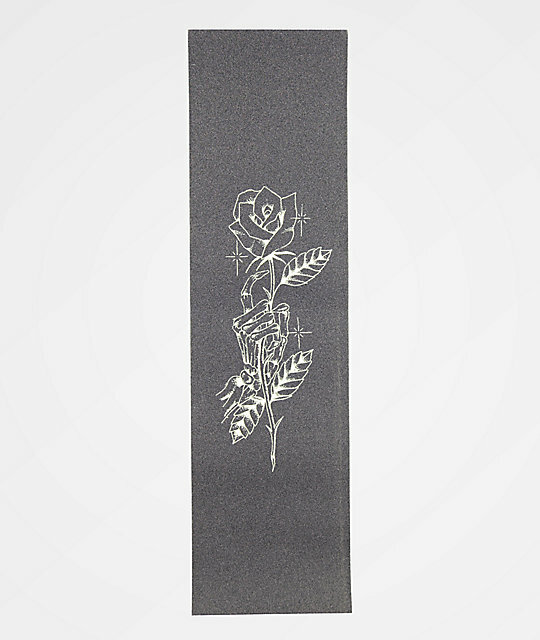 Keep your board looking fly and riding great with the Know Bad Days Til Death Rose Grip Tape. This standard sized sheet of grip features mid-level grit for flick strength and easy foot placement adjustments. Finished off with a translucent image of a skeleton hand holding a rose at the center, this grip will have your set up the talk of the park. Til Death Rose Grip Tape from Know Bad Days. Translucent hand and rose graphic at the center.